This product is a high purity phosphatidylcholine (PC) containing a natural mixture of fatty acids acylated to the sn-1 and sn- 2 positions. PC is a major component of biological membranes, especially in the outer leaflet, often composing almost 50% of the total phospholipids.1 It is a vital component in membrane bilayers and is the main phospholipid circulating in plasma. 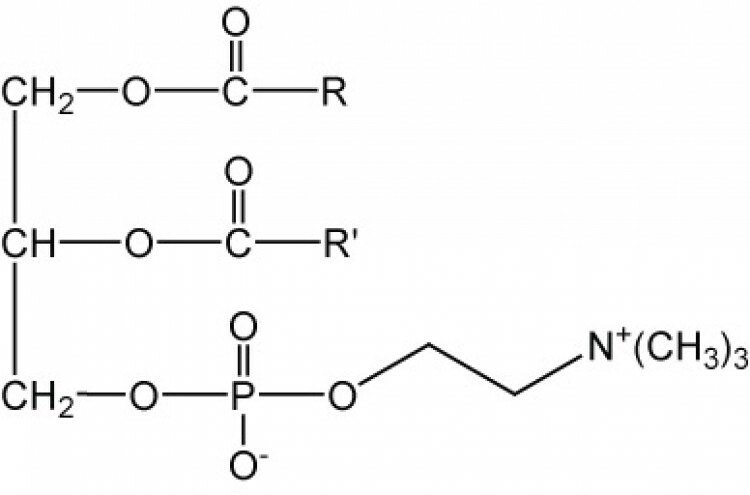 PC plays an important role in membrane-mediated cell signaling by generating diacylglycerols and phospholipids.2 Phospholipase D is an enzyme that cleaves off the choline head group, converting PC to phosphatidic acid, while phospholipase C cleaves off the phosphate group leaving diacylglycerol. PC is the biosynthetic precursor of sphingomyelin, phosphatidylethanolamine, lyso-phosphatidylcholine, and platelet-activating factor. 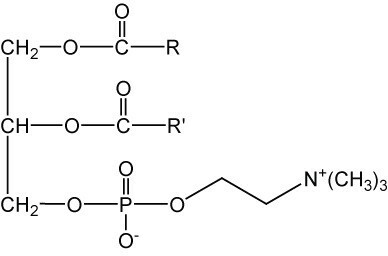 The choline headgroup is an essential nutrient in animals although it can be synthesized by methylating phosphatidylethanolamine to phosphatidylcholine and then cleaving the headgroup with phospholipase D.3 Tumor cells appear to have increased synthesis of PC and this may be a potential target for cancer therapy. Another function of PC is the activation of enzymes such as the enzyme 3- hydroxybutyrate dehydrogenase which must be bound to phosphatidylcholine before it can function optimally.